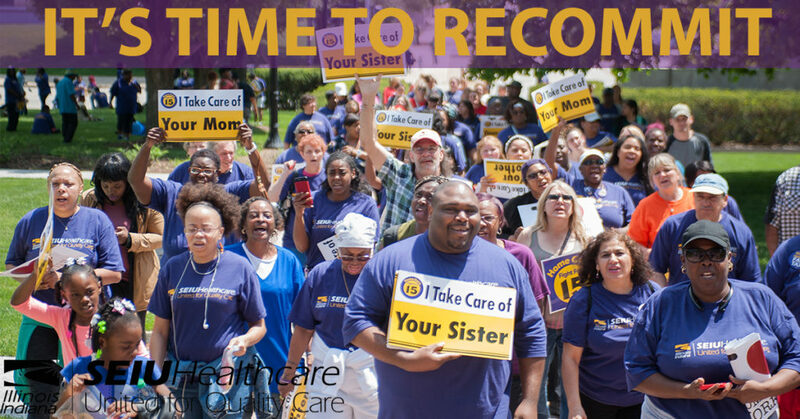 SEIU Healthcare members have racked up many wins. We’re not satisfied and we are determined to win many more. That’s why it’s more important than ever to recommit to your union. Take a look back at these victories & click on link to recommit to the union. And Indiana we continue are building strong bargaining committees at hospitals & strong coalitions at the state capitol to reform criminal justice and to raise pay. These victories are not just good for workers, they are good for the public as a whole. More parents have child care, more seniors and those with disabilities have home care, & patient care in hospitals is better. They economy is stronger due to > wages & > demand.